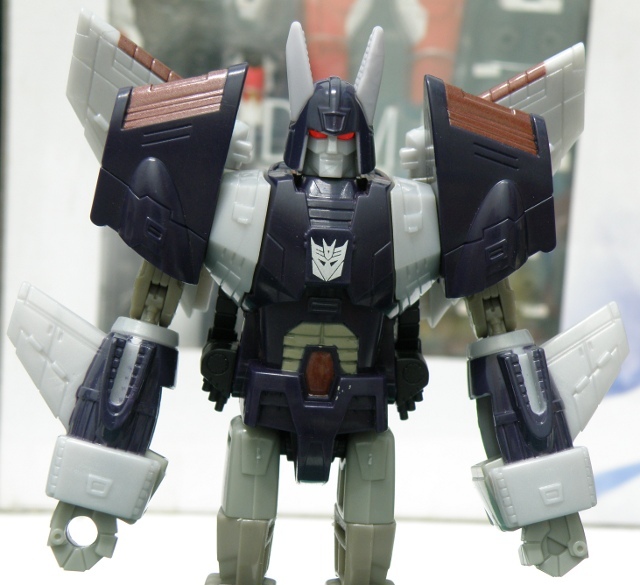 Transformers Classic Voyager Class Cyclonus, Robot Mode [Part3] | Out of the box. 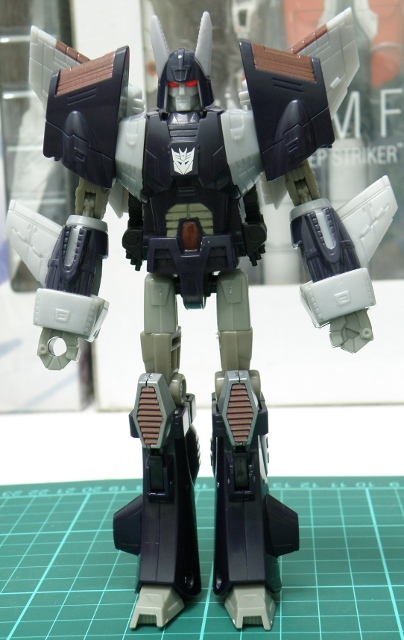 Cyclonus just looks slick, lean and mean in robot mode. It follows as close as the G1 Transformers. 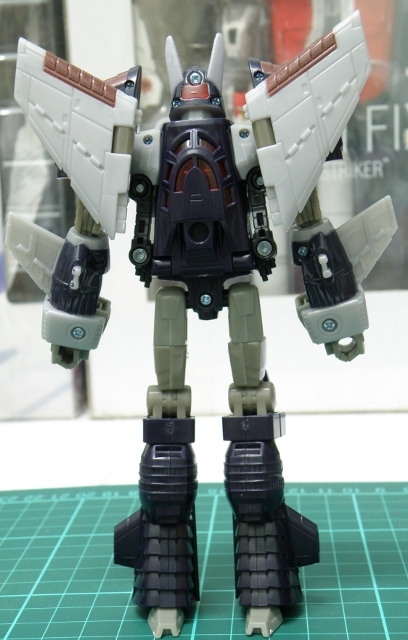 The proportion of Cyclonus robot mode is very nicely done. Panel lines and detailing is done on the legs, arms, torso as well as the wing. The head detailing is superb, the red eyes looks intimidating, fully capture the essence of Galvatron’s vassal. It has a insidious grin sculpt to its head. 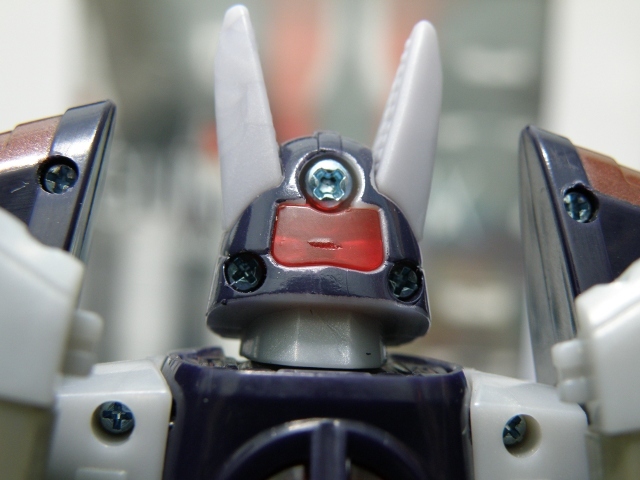 Cyclonus robot mode head details. The red eyes glowing effect is due to the toys designer uses a piece of translucent red plastics as it’s eyes. From the back of the robot head, it is revealed that the glowing eyes feature is due to exposed back. 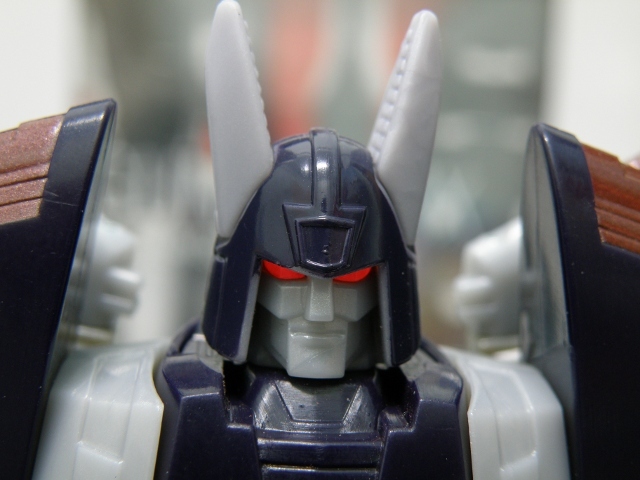 Nevertheless, the evil red menacing eyes of Cyclonus is appealing. To be continued to reviewing Cyclonus gimmicks. This entry was posted in Mecha, My Hobbies, Transformers and tagged cybertron, cyclonus, Decepticon, Deluxe Class, Destron, G1, Generation 1, Generation1, hasbro, hasbro transformers, henkei, review, robot, robot mode, takara, takara tomy, takaratomy, target master, targetmaster, transformer, Transformers, transformers classic, Transformers Universe, Voyager Class by KarMeng. Bookmark the permalink.